The concept of bringing traditional Tapas, as well as modern and international goods to the table, is also carried out through Lamoraga’s wine list. Our mission to assemble not only some of the best known wines in the world, but also to offer a selection of great wine from highly sought after small producers, is demonstrated in our well balanced wine program. 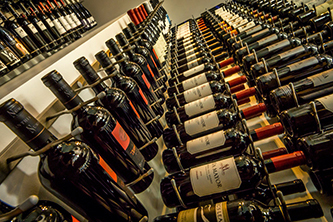 Our custom built wine room ensures our wines, both red and white, will be served at proper temperature. 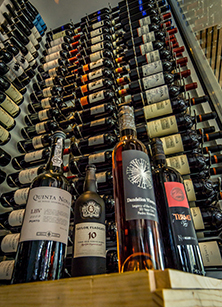 We encourage customers to continue to explore our extensive wine list, by offering a wide variety of wines by the glass. Whether you choose one of our great wines, our house made Sangrias, a specialty Cocktail, or a Spanish Beer on tap; we guarantee you will be satisfied. We look forward to toasting with you. SALUD!! !